The 1989 Shelby CSX was the last of the Shelby Dodges. The 1984 Omni GLH was the first. It was quick for its day but Carroll Shelby was a road racer at heart and Car and Driver reported that the GLH cornered at higher G forces than any other FWD car they had tested to that point. GLH famously stood for Goes Like Hell, which has the ring of ‘Ol Shel’s famous Texas drawl. 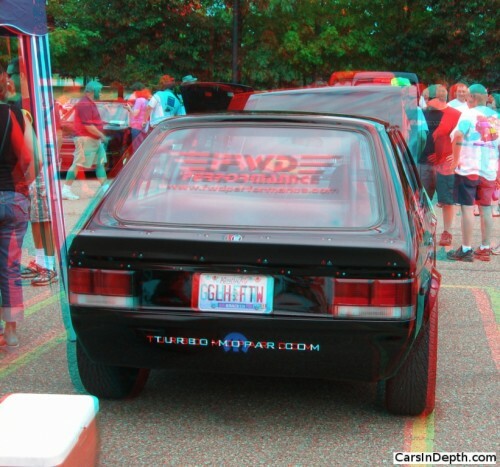 This entry was posted in 3D Imagery, 3D Photos, Dodge, Shelby and tagged All the Shelby Dodges You Could Ever Imagine Weekend, Carroll Shelby, Dodge Omni, Dodge Omni GLH, GLH, Shelby GLH. Bookmark the permalink.